A New Year Coming and a New Start! I am really sleepy so I don't want to write too much or it won't make sense when I go back to read it tomorrow. I just wanted to give our Christmas a little shout out, because it was amazing. This is due to my mother in law and husband. When we found out on Christmas eve that my little bro, Scott, was going to be all alone for Christmas Jodie immediately went on the computer and bought him a flight to get here in time for dinner! Then she went with Colt and they ran to the store on Christmas eve to buy stuff for him to open the next day. He was so surprised and excited to be invited to come and then to have a nice pile of gifts waiting for him Christmas morning and Christmas jammies that evening. I was not able to go on the shopping trip for Scott because I was preparing my family's traditional Swedish Christmas eve dinner. My family has really extensive Christmas eve traditions. This was my first time preparing the meal all by myself. I am so in awe of my Mom that she does this every year! All of the food turned out good. I do have some areas I would like to improve on. My bread didn't rise enough. I was feeling bad about this and then I spoke with my Mom who said that her bread didn't rise well this year either. It is just such a dense bread! A lot of the food we make is rather temperamental. Scott said the food tasted like Mom's and that is the highest praise I could get. My family flies into Utah tomorrow for a week of skiing and I can't wait to see them! I hope everyone had a Happy Holidays and a Merry Christmas. Our was wonderful thank you to everyone who made it so special for me. 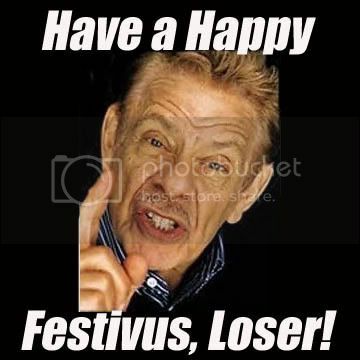 Okay if you are not on my Faceboook account you may not have heard that Festivus is tonight! This has been an annual tradition for a long time. It will have Fondue, Feats of Strength, Airing of Grievances....and MORE! The Party Begins at 5:30 and runs till when ever I get tired or 11ish which ever occurs first. The location is my Mom's house so call or comment if you need me to email you directions. Well many of you already know that I am leaving my job at the Center for the Deaf and Hard of Hearing. Those of you who didn't know you do now. I am looking forward to the new year and a semi-new job. I have been doing freelance interpreting off and on since I certified but now that will be my job. I am so excited to get to use my interpreting skills everyday. I am really hoping this will help my skills and my confidence as an interpreter continue to grow! I was nervous to make this change but Colt has been very supportive and encouraging, so has my family and fellow interpreter friends. Thank you for all of your advice and support in this decision. I know it will be a good one! Ah the Tim Tam slam where to begin. This tasty treat was taught to me by my research methods professor. It is an Australian treat that is being sold in America by Pepperidge Farms at Target but only through the Holiday season. The cookie itself is yummy chocolate wafers with a chocolate or caramel center (depending on which you get) and a nice chocolate coating. Yummy right? Well wait till you try the slam. This can be done with hot chocolate of coffee depending on your preference. 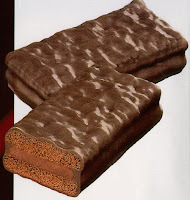 6. enjoy the melty chocolatey goodness that is the Tim Tam Slam! I keep waiting for Colt to write about our great trip to Pittsburgh, but I think he wants me to. It has been a while since I contributed to our blog. We went to my home for Thanksgiving and it was wonderful. Wednesday was our first day in town. After a red eye we got in and did some movie shopping with Jonny (my awesome lil bro). We found great deals at Hollywood Video! Then Colt and I headed over to see Karen. I was so excited to finally meet her baby! She is beautiful. We went to a great little Italian place by Karen and Tony's house. The food was delicious the company even better. Thursday Colt went to the Turkey Bowl. It has been happening every year in my ward and no one in my family has ever gone. Colt had a great time and he was able to get his football fix in. He was quite muddy and will bring his cleats next time. I got to spend the morning with my dear friend Marion. Colt was playing football with her husband Dave and all the other guys I grew up with. It was fun to see the Chrises reunited too! Oh and there were more doughnuts there than you can imagine so Colt got to get some good cop practice in with eating them. Back at the house we cleaned up and were so excited at the arrival of my cousin Britta and her family. Her husband Tom and Colt were excited to have someone they could talk football with and they are both Alton Brown fans. Their daughter Ella is so adorable. The table was full that night. With 8 in my family (including spouses/in-laws), Britta and family (3), Amalie, Suzanne, missionaries (2), and family from church (Stephanie, Eric and Hazel). The food was amazing I love my mom's stuffing. Ruth does too I think that is what we pigged out on the most. 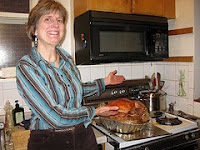 There was a 26lbs turkey and all of the other favorites too. For dessert we had the most amazing array of pies. Stephanie is an amazing pie maker and many references to The Waitress and to Pushing Daisies were made. 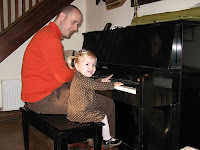 After dinner Alan played Christmas carols with the help of 2 year old Ella. We all sang there was also the appearance of a ukulele, guitar, bongos (and other drums), tambourines, and shakers. The rest of the trip flew by too fast. A night with my Schenley High School friends. Going to the Frick mansion and trying to distract Ella from touching anything. Running with my Dad. Movies with Amy and gorgeous earrings along with other assorted gifts, shopping with Ruth and a manventure that consisted of way too many french fries. For you Pittsburghers apparently Jonny did not explain the proportions of french fries at the O in a way that Alan and Colt understood. Colt got a medium!!! To those of you who don't understand they way I explain is the O fries is that a small is bigger than a biggie size fry. After cross country I use to share a medium with 3 friends and be full. 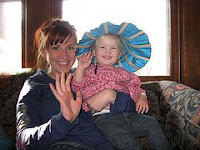 Ella and me with styling hat! The flight home. The part were it would have turned really ugly. We were suppose to get home at 10:30 pm on Sunday. We got in about 5 pm on Monday. I had 2 presentation that I missed on Monday one of which was worth 10% of my grade. But I was able to make them up. We stayed the night in an amazing hotel in Phoenix with a great breakfast and we got food vouchers for lunch at the airport. Best of all we got to see Tyson who is one of Colt's best friends. They have known each other since 6th grade. Over all it was a trip to be thankful for. Thankful for an amazing family, wonderful friends, good food, each other (if I haven't said it enough I am so thankful for my husband), the fact that our checked luggage made it to Salt Lake. All in all it was amazing!!!! 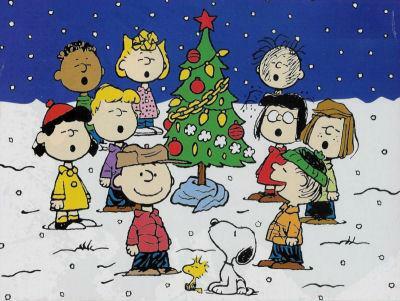 One of my favorite things about the holiday season is Christmas movies. For your contemplation I am going to post some of my favorites. I promise that there is an update coming on all of the many wonderful things Maggie and I have been up to including Cracking Nuts, Aquabats, DJ Lance Rock, and our many other adventures. This is a 1945 classic comedy about a Martha Stewart (Barbara Stanwyck) of the 1940s. It is one my essentials that I do not currently have in my collection. It can be a little difficult to find as I experienced this past weekend, but it is sure worth the effort, or you could just make it easy on yourself and go to Amazon.Com. This is usually the first film I watch over the holiday season. I am a huge fan of Chevy Chase and think that his classic dry delivery and excellent timing lead to Christmas classic that reminds of how frustrating the holidays can be for all of us, but still reminding us that it could be worse, we could be the Griswolds. A Christmas Movie for those that hate Christmas. I do not hate Christmas in fact I was part of movement to celebrate it twice a month when I was in high school. 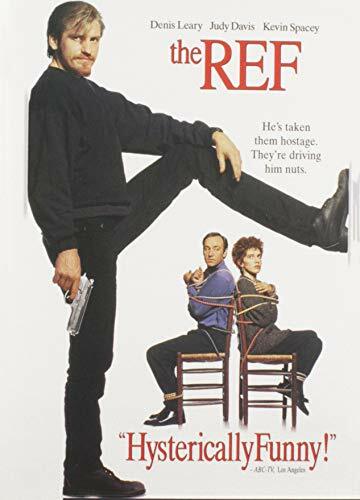 This movie is about thief, played by Rescue Me's Dennis Leary, who takes a dysfunctional family hostage. Kevin Spacey has some fantastic lines, along with a great supporting cast (Christine Baranksky, and Judy Davis). This film is another one that you have to be in the right cynical mindset to enjoy, and leave the kiddies in their beds when you watch this yule-tide treat. What can I write about a film that not only works as a great Christmas message, one that we should carry with us all the year round. None of us know what impact we have on others, and how much we all depend on one another. This movie isn't as much about George Baily as it is about the rest of Bedford Falls, and our communities that each of us is vital. What would the town have been if there were no Donna Reed or George Baily Sr. or Mr. Potter(well not Mr. Potter)? I still remember my Red Rider BB Gun Christmas, and I still have both of my eyes! This is my Christmas Eve tradition. After dinner I watch Fred Astaire and Bing Crosby try to out sing, dance and woo Marjorie Reynolds the whole year round ending with Bing singing White Christmas for the very first time. I then head for Midnight Mass. 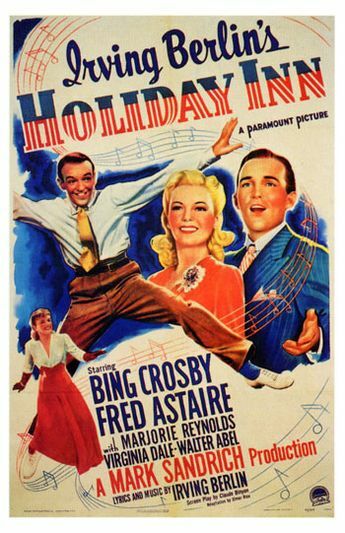 This movie did every thing right, and for those of you who are fans of the film White Christmas I recommend Holiday Inn. I am not a huge fan of White Christmas. I feel that White Christmas did little more than add color and Danny Kaye to a maxed out version of Holiday Inn as an excuse to reuse Irving Berlin's classic song. As good as Michael Caine was, Scrooge McDuck was literally born to play that role. Plus this may be the only Tiny Tim that doesn't annoy me, and then make me feel guilty for being annoyed. I have always loved this movie from the time I was a kid. I now really love the Vince Guaraldi west coast jazz soundtrack. This was a landmark animated feature. Before this time children were never used as actual voice actors in a cartoon. At that time rock and roll was used in most kids productions (picture School House Rock) that tended to turn off adults from watching cartoons. This production used a jazz piano as its main soundtrack, and from the very beginning drew in both children and adults alike, much of which is credited to its innovative soundtrack. This is not a complete list there are many other films that I consider essential to the holidays Emmet Otter's Jug Band Christmas, The Christmas Toy, that episode of MASH where Radar O'Reiley gets Winchester's toboggan hat sent to him from his mother; Winchester has given all that expensive stuff to the orphanage(fuhklept again), How the Grinch Stole Christmas(Boris Karloff is amazing) Elf, The Weird Claymation Ones, and many many others. If you have suggestions please let me know, and enjoy your egg nogg.